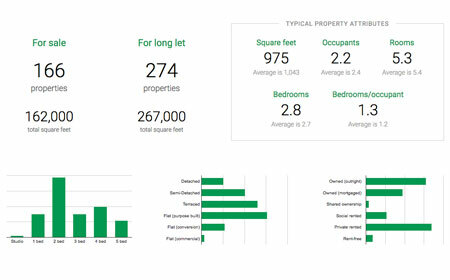 PropertyData contains a wide range of market research to help you identify areas that meet your property development criteria. Use the national postcode table or postcode map to compare areas by key metrics such as price, rental yields and even local demographic characteristics. No platform at anything close to a comparable price offers accurate, comprehensive and up-to-date price per square foot data for local UK property markets. Our data can help you ensure your development finances stack up, and give you a realistic idea of the market value of your post-development GIA. Beautiful high resolution street maps help you to identify plots, trace boundaries, and pinpoint planning precedents for larger footprints based on nearby buildings. 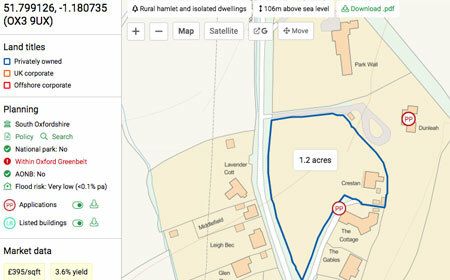 Live market data and planning permission applications are overlaid on the map, while quick links to planning policies and planning search as well as development warnings (National Park, AONB, Greenbelt) are also shown. 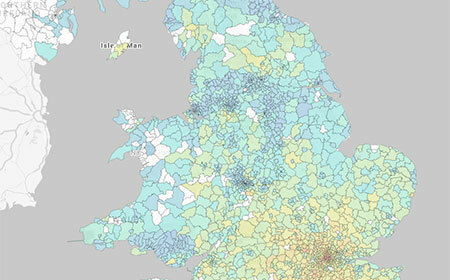 Analyse any urban area in the UK to reveal a breakdown of the property market composition in that area. 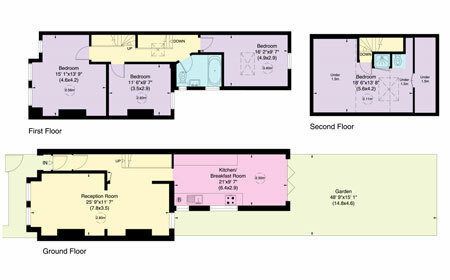 See data on typical property attributes (square footage, rooms, bedrooms, occupants per room) as well as ownership and tenure types to ensure your development meets the needs of the local area. Understand your potential buyers and ensure your developments are fitted out at the right level using our local demographic data. 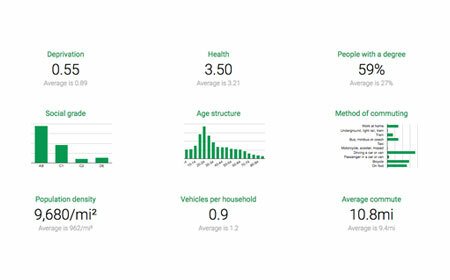 See statistics on social grade, age breakdown, educational levels, vehicle ownership and more.